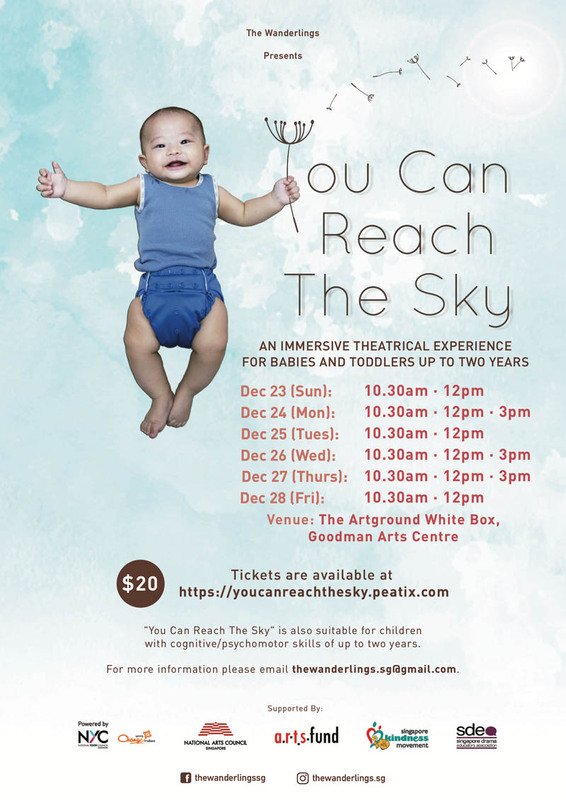 You Can Reach The Sky is Singapore's first baby theatre production, helmed by The Wanderlings. It premiered in 2017 at The Artground, and has since went on an island-wide tour to various infant-care centres. In October 2018, You Can Reach The Sky reached out to under-served communities, where invited beneficiaries got to watch the performance for free. After a year of further exploration and redevelopment, You Can Reach The Sky will be restaged in 2018. Since it's inception, the show has been performed to almost 500 babies.